Keeping hives close together is something most Native bee keepers will face once they get a few hives together. Small urban blocks don’t allow to much space for city bee keepers and this is a good way to accommodate housing more then 1 hive in a small place. Have a look at this video to watch the current setup I am using and learn a few things. Tips on keeping hives close together. -Move hives together slowly over time. Allow a new hive to sit near the older hives for a couple of days before moving it closer. Move hive approximately 200mm a day towards an older box to be on the safe side, If the hive is already close. 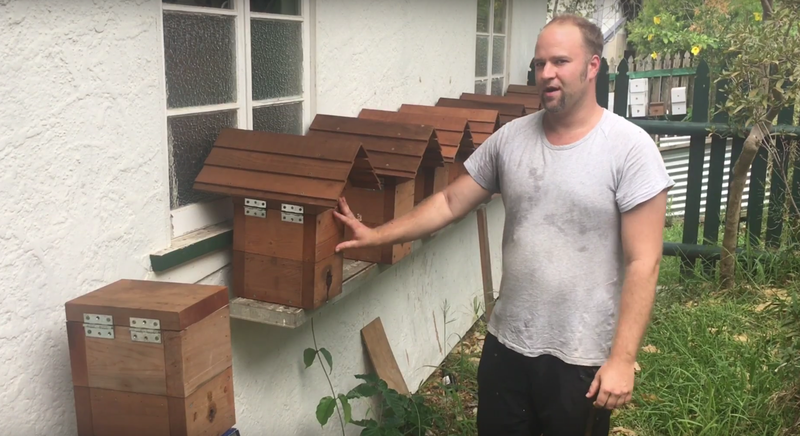 – Allow hives to sit for a couple of months before being able to swap boxes in any position. It takes a long time to get 10 hives or more used to each other. – Add new hives to one end of the plank, rail or rack your using to store them. Do not add a new hive to the middle. – Split hives from your group of hives will not cause a fight if added back into the group of hives. 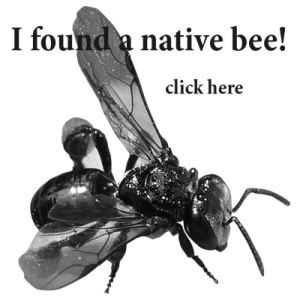 – Hives will share worker bees! Stingless bees will “drift” between boxes in your group of bees. – Colonies kept in groups can be used to help a young colony grow. – Hives kept together will remain friends for 3 days if a box is moved away from the group. Within the same yard. – Hives that have very few bees in them, will collect workers from other nearby hives without fighting. – Take your time to add a new colony of bees to your group. Rushing it will make one very very large swarm. – Once all your hives are together they will rarely have a swarm. No outsider hive will attempt to take a large number of colonies. – Drones from other colonies still fly to groups of boxes without fear. – Genetics and drift can be better maintained with the use of visual entrance hole designs. I.e star shape, square shape, higher hole, lower hole and facing hive entrances in different directions to each other if your stand allows it. A recently written article by Ruby Stephens will soon be released in Biological Journal of the Linnean Society. It will contain some interesting findings related to this article. I will post up a link as soon as it is released. Here. The article can now be seen here. Great article Nick, shows the depth of knowledge out here in the real stingless bee world. Hi David! Good questions there. When a small colony (and I mean micro) is added to the middle of a group of boxes the threat level is almost zero. Especially if this hive contains only hive bees. The stronger boxes will naturally have drift and help that colony. The small colony provides absolutely no help to the group of boxes in its infancy. Later however it will become stronger and bees will drift from it. Creating more help to the “super colony” if you like. The marking of the callows was taken out over 2 days. Bees had to be marked at the time they left the cell they were in so I could have an accurate idea of time. 20 baby bees from each of the 3 colonies were marked. Each hive that participated (unwillingly :). Showed some interesting results. You are correct in saying that the bees had different jobs. Not all the sample bees joined the workforce. Some took to work on the internal structure of the hive, both brood duty and structure. Others became nurse bees and were filled with nectar and feeding other baby bees. It is these nurse bees that I have seen excreting wax scales at night. Hope this helps. If not post another comment and I’ll reply. I think the research is sound! You and I have both learned from our mistakes as well as our successes. Let’s let the knowledge flow, and trust people to fix their mistakes and care for their bees as they go along. It’s a great addition to stingless bee techniques in Australia. Thank you for commenting Dean. You are right! With stingless bees you cannot rush things such as putting them close together, eductions and propigations. It all takes a bit of time and I hope that anyone trying this will be patient and follow the advice as best they can. Slow and steady wins the race and the benefits are many. ?? Hey Tony. Just put a screen accross their entrance hole and make the move as fast as possible to their new location. Be sure not to leave them in your car with the windows up etc.